Its all about fun at Old MacDonald’s open farm. We believe learning should be fun whether you are enjoying a day out on the farm or visiting our website. Here are some fun games and activities for kids to play. Do you love Halloween? You can play our online game anytime of year! 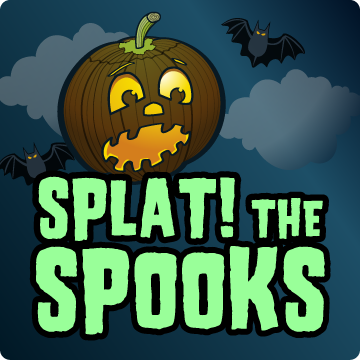 Fire pumpkins at the moving ghosts, see what score you can get! Click here to play this game. 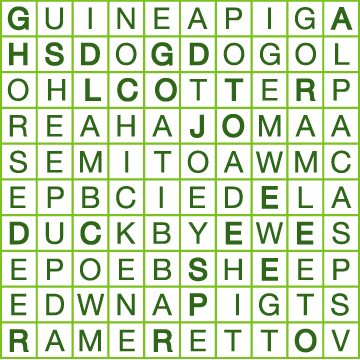 Find the farm animal names hidden in this word puzzle. Click here to download a printable word puzzle. © 2019 Leisure Attractions Ltd.